I had my Fossel watch as a 50th birthday present and I am so pleased with it, I love the colour and design especially the diamonds they finish it off loverly and also the weight of the watch , you can tell its a quality piece . Will be buying in the future. I think the watch is 100% I Love it . I got this watch as a gift the recipient absolutley loved it. The quality was great the strap is two tone which gives it the slightly different look. Such a beautiful watch exactly as described on the photo, I couldnt believe how quick I received my item it came the following day without having to pay any posting for the great service also safely packed, would certainly shop with you again due to the same item being cheaper with other retailers selling the exact watch! worth thinking about if buying Fossil etc.. Many thanks for a great service. Nearing my 3rd wedding anniversary my wife needed something special. I usually buy electronics gifts because I am somewhat a techie person but this time wife insisted that I buy a designer watch. 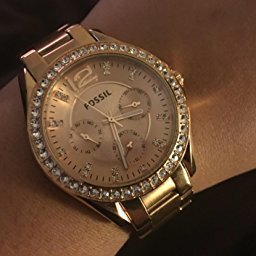 After some research I narrowed down my brand to Fossil. Reason is simple. 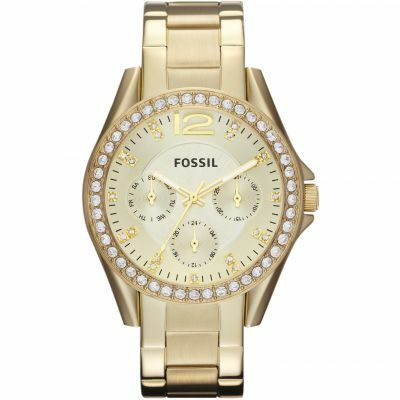 Fossil makes watches for brands such as Adidas, Armani, Michael Kors, Marc by Marc Jacobs, DKNY and few. Now comes the budget part. 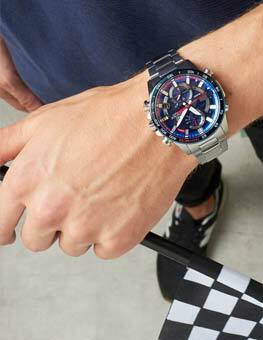 After few days of research I could see the cheapest in watchshop website but was little sceptical without looking at the watch physically. 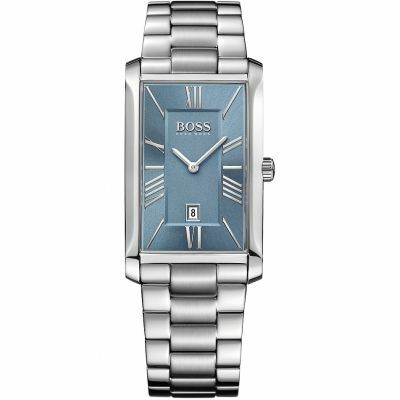 Reading some reviews it made me confident enough to order the Ladies Fossil Riley Watch model number ES2811. This watch just looks stunning. The pictures you see online do not justify the look and feel of the watch. This model comes with 3 small dials for weekday, 24-hour and date functions. Setting the time/date is quick and easy. The one thing I do not really like is the packaging of the product. I would have expected Fossil to give a decent box but that is just a minor complaint. Ordering from Watchshop was an excellent experience. I had to cancel my first order due to some errors I made but the customer support was excellent and helped me sort it out. My order came with next day delivery for free and the delivery was within 20 hours or ordering my product. Amazing fast service. I also got 5% off for my next purchase which is valid for one year. This is another surprise since most of the time the coupon is valid just for a month or so. 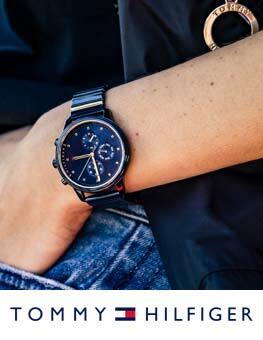 Fossil website also lists Watchshop as one of the retailer so you know you are buying a genuine product. Overall I am a very happy customer. My wife simply loves the watch. 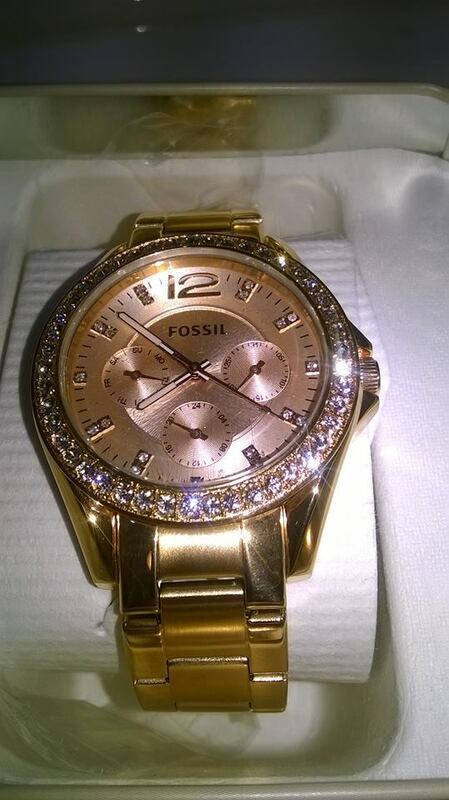 Nice fossil watch, partner very happy with it - good weight and finish. Strap easily adjusted at keycutters. My daughter loves her watch. It was delivered promptly and in good time for the surprise. I feel the product design is well made, love the style of it. The strap feels well fitting and safe to wear. I dont normally buy things online unless i have seen them beforehand, but with this watch i am very happy with and would recommend it to anyone buying for themselves or as a gift. The watch is very nice looking, very stylish! It has a nice weight to it, it doesnt feel cheap. I highly recommend this watch! I bought this watch for my sister as a marriage gift. The watch is indeed awesome and very stylish. The rose gold is too good and suits her the most. I would recommend this watch. 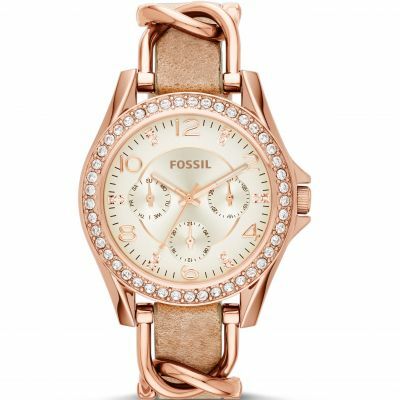 Absolutely LOVE my new Fossil watch - elegance, glimmering, quality, sophistication and just simply gorgeous all bundled into one item! The chronograph dials give me the info on date/month whilst the large easy to read beautiful face gives the time, all of this encrusted in a circle of shiny eye-catching crystals. 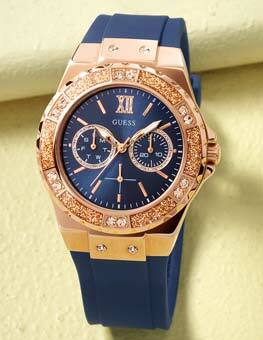 The rose gold plating not only accentuates my skin tone, it is also the latest and hottest fashion. 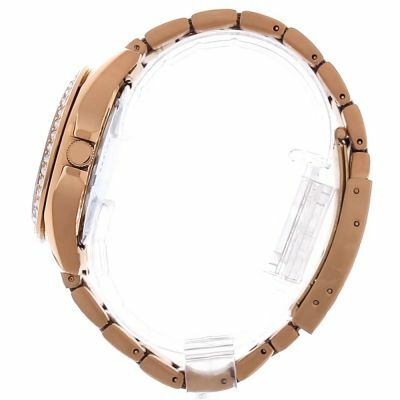 There is the added safety of the solid clasp and strap so that I never lose my watch, as well as it being waterproof up to 100m so that I never have to worry about it being rained on or the occasional dunk in the swimming pool. Couldnt have asked for more in a watch! 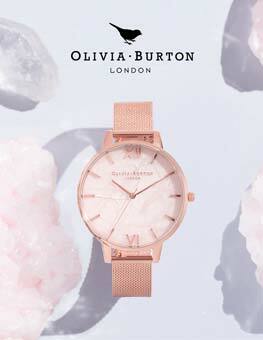 Beautiful watch from an amazing company! I purchased two watches one for myself and one for my sister we are both delighted with them. I purchased this for my wife for valentines day. 3. 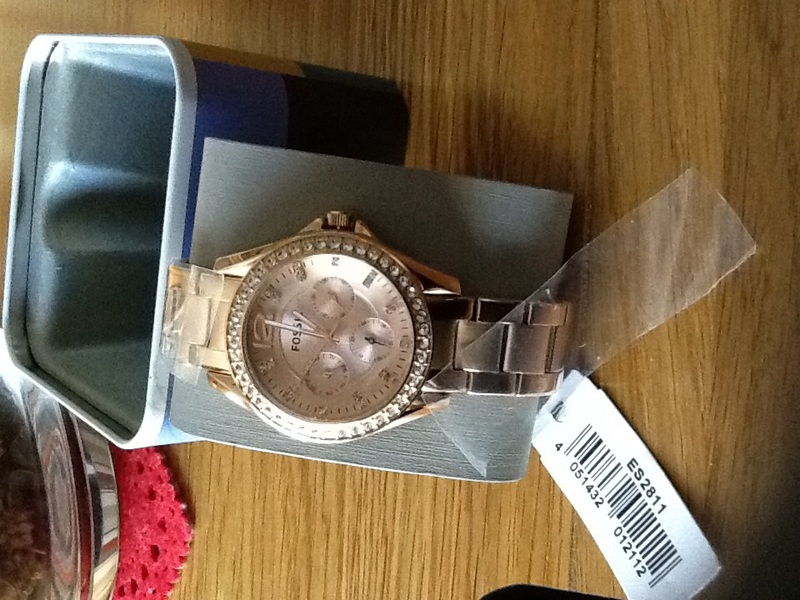 The price is great value for money in my opinion when compared to the michael kors watches. I looked at both and cant see any difference except price. To be honest there is not much I didnt like about the watch, mainly because my wife was so happy with it and has it on all the time. The one thing I would say is because it is a watch with a metal bracelet you have to take links out of it to get it to fit. My wife had two taken out and it was a bit tight but three was to lose. Guess this is a common problem with bracelet watches. It has three extra dials which show day of week, date & 24 hour time. This is useful and adds to the design.